This is a dynamic and interactive application that can help you to understand how patterns look and how notes relate to a root. 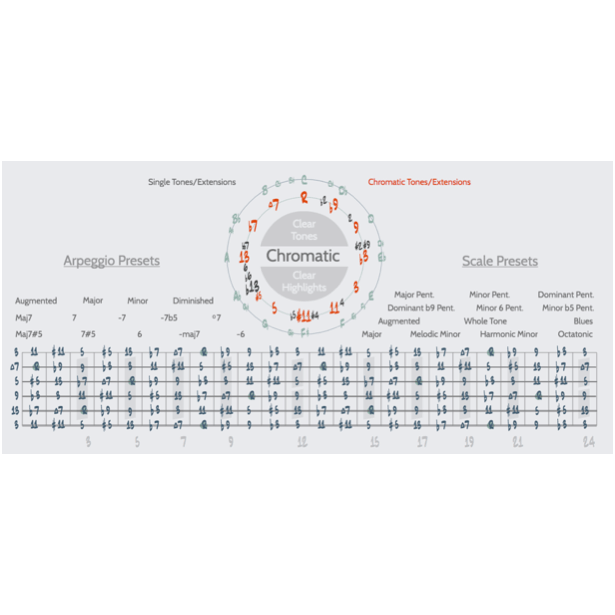 It is fully chromatic and adjusts to any root note. You can also highlight notes that you want to focus on. Included are also several arpeggio and scale presets for quick viewing. This app works only while connected to the internet and logged in to the fretprints.com website. This is a dynamic and interactive application that can help you to understand how patterns look and how notes relate to a root. 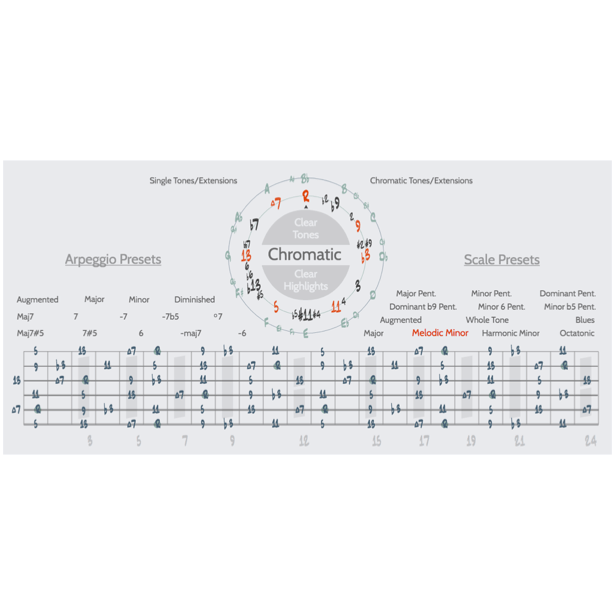 It is fully chromatic and adjusts to any root note. You can also highlight notes that you want to focus on. Included are also several arpeggio and scale presets for quick viewing. 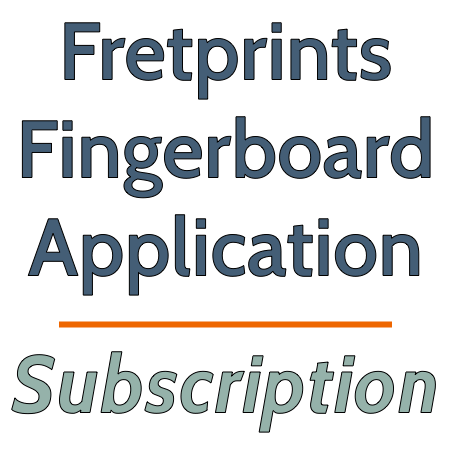 This app works only while connected to the internet and logged in to the fretprints.com website.